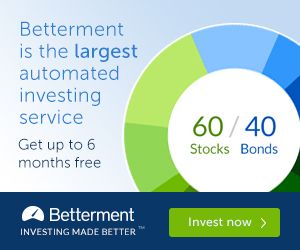 This page includes helpful websites and tools to help you make investing a bit easier. This list includes sites and tools that are both free and subscription based. I personally recommend that you take a look at all the sites and see if they fit your style of building wealth. Below I have included free stock chart sites that focus exclusively on creating and building stock charts. Here is a list of online brokers. Please take a look at the many choices and decide for yourself whether or not the cost and service features are up to your standards. Invest in great companies without paying a fee through LOYAL3. 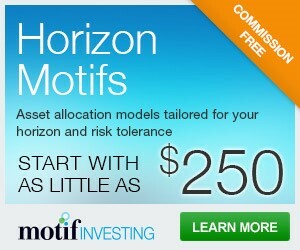 Create a portfolio of up to thirty stocks or ETFs using Motif Investing. Many investors use Direct Investment Plans (DRIPs) to invest in stocks of companies that they consider long-term holdings. Below I have listed transfer agents for these types of plans. In addition, I would also recommend checking out the Money Paper's Direct Investing website for more information on DRIP investing. Also check out great tools for dividend stocks at Dividend-stocks.com, Longrundata.com, Buyupside.com, Dividata.com and Mhinvest.com. Want to be the banker? How about lending money to people who need personal loans and collect the interest by using Peer to Peer lending through Prosper.com. Speaking of banks, are you having trouble saving? Maybe using the automatic saving system that is provided by Digit that analyzes your spending and savings habits and manages to save small sums of dollars automatically. Over the years friends and family have asked me where they can find information about interest rates on credit cards, certificates of deposit, and mortgages. The only site that I ever recommend them is Bankrate, they have all the info and tools to find the right mortgage, credit card, etc. Through the years I realized that the most important resource that I ever relied on was the written word. I have included a montage of books that have been instrumental to making me the person I am today. Some of these books may have only had one important chapter, but I have learned that even that one chapter may change a life. Please take note that when you click on any book it will lead you to Amazon's website where you can continue your journey on finding the book that may inspire you. Read and learn and you will find true wealth.